Schalke's passionate fans had few reasons to sing in 2016/17, but the performances of Sead Kolasinac were arguably the biggest of them all. They saw their heroes miss out on qualifying for European competition for the first time in seven seasons after a troubled campaign, but while collectively it has been a struggle, Kolasinac has shone. Despite making his first-team debut on Matchday 3 of the 2012/13 season, the 23-year-old has largely been a fringe squad member in recent seasons. A serious knee injury at the start of the 2014/15 campaign also slowed his progress. 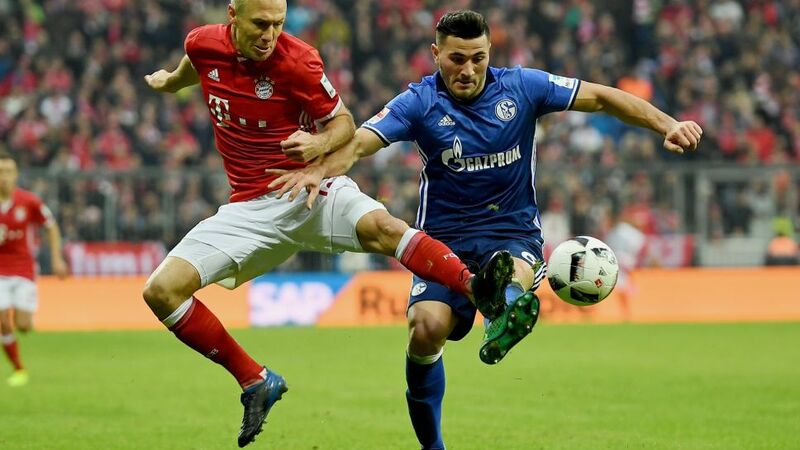 He had been forced to bide his time in Gelsenkirchen, but Kolasinac ensured 2016/17 was worth the wait. The famous combative traits of the brick-built full-back have always been evident, and the man nicknamed 'The Bulldozer' by Bosnia-Herzegovina fans and called "a tree" by former Schalke boss Jens Keller has lost none of his formidable physique and presence. There is little doubt though that going forward, Kolasinac has taken on a new dimension this season with his ability to deliver a cross enhanced in addition to his eye for goal. Watch: The best moments of Schalke's "Bosnian Bull"
Only four Schalke team-mates - all of them attack-minded players - can boast they have scored more times than the left-back, while his five assists place him behind only Borussia Dortmund's Raphael Guerreiro among defenders in that category. He would have had another goal to add to his tally with a typically brave header late in the Matchday 33 encounter with Hamburg only for an infringement to mean it was ruled out. Still, his influence on his team and the game was clear: 71 touches, 28 sprints and three crosses came from the Karlsruhe-born full-back, all of them Schalke highs in the 1-1 draw. While his displays in Royal Blue will have put a smile on fans' faces, they will surely be saddened to learn the penultimate game of 2016/17 was the Bosnian's last in Schalke colours at the VELTINS Arena. After Arsenal secured his services on a long-term deal on 5 June, the search for Kolasinac's successor has begun. Thanks for the memories, Kola!